A loan of $5,000 helped purchase equipment and materials to make our facility accessible for disabled veterans and first responders, file for non-profit/501c3 status, and have working capital on hand. My husband and I are both veterans of Operation Enduring Freedom/Operation Iraqi Freedom (we met while serving in Iraq together). As infantry and Security Force members, we both performed law enforcement, security, and unexploded ordinance details. Upon return from my final deployment, I slowly realized that I had changed in ways I found difficult to understand. Yes, the physical ailments I suffered had obviously taken their toll on me, however it was the mental/emotional changes that I struggled with most. In the military, we see ourselves as warriors and tend to keep these things hidden deep down inside for fear that peers or superiors will see it and call out our weaknesses. For years, I secretly dealt with the mental and physical issues by utilizing prescription medications due to my own fears of seeming weak. I finally delved into trying to understand the effects of PTSD and what it does to not only myself but family and friends around me. Did I change so much to those around me? As I started to question my family and friends, I found the answer was yes! Once separated from the military and home in PA, I found it difficult to transition to normal life while dealing with and trying to hide my issues. I needed help. I needed healing. I needed an outlet. I remembered what it had been like, as a young girl, to train with my father on our heavy bag and speed bag. I felt strong yet relaxed. I wanted to feel that way again so we found the nearest boxing gym and from the day I stepped foot in the door and started to train (although extremely limited by the physical ailments), I felt myself healing. I saw, as weeks and months went on, my relationships and friendships healing. I found my wonder drug and it wasn't in a pill or bottle - it was in a pair of boxing gloves. My husband felt we needed to share this “secret” with everyone, not just military, but especially the people we loved in and around our community. So we took a leap of faith and created Warriors’ Call Boxing and the Will of the Warrior Program. Warriors’ Call Boxing is a local boxing club for all men, women, and children of our community with a commitment to our Will of the Warrior (W.O.W.) program. The W.O.W. 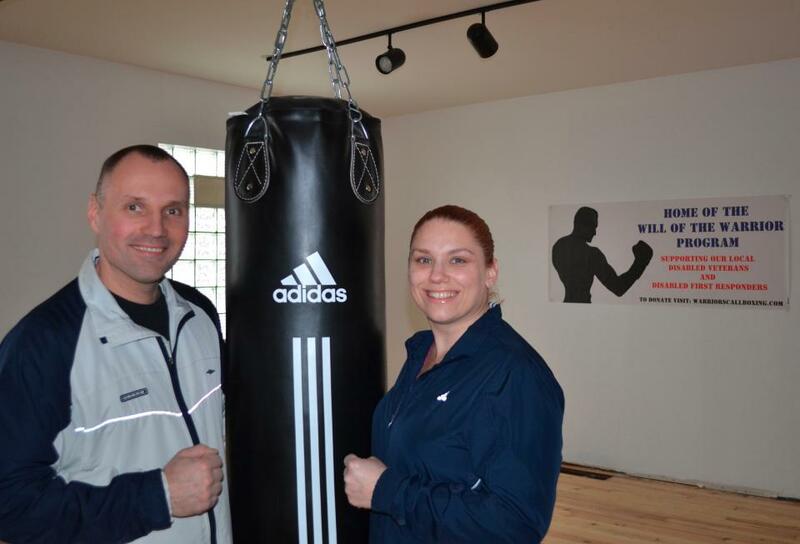 program is dedicated to assisting local disabled veterans and disabled first responders to regain their physical and/or mental health through the sweet science of boxing. Once a warrior has begun the healing process, if he or she has an interest in becoming a boxing trainer, personal fitness trainer, or self-defense instructor the W.O.W. Program will help fund training materials and exam fees while also providing a safe training and study environment. While passion for the club and program is necessary, so is sustainability. To ensure this, we have begun our endeavor for a true boxing club by narrowing our focus to specific training courses and groups and by creating a market for our services prior to substantial capital investments. Having our services which serve the local community, our disabled veterans, and first responders has helped create an indelible association in the public’s mind. This allowed us to develop a devoted potential customer base through boxing and veteran forums, but also established a strong public presence through local media outlets and word-of-mouth. We already have 30 community members and veterans that would like to sign up once we open and we hear from more every week. The purpose of the Kiva Zip loan is to complete remodeling of our boxing club ensuring that all specialty and ADA required equipment is available to our disabled veterans and disabled first responders who will train and heal utilizing our WOW Program. We will buy equipment for Warriors’ Call Boxing Club and ensure proper legal paperwork is filed and submitted for our non-profit status for the WOW Program. We will not only give the community a place to come together, learn the art of boxing, and get healthy, but provide a safe environment for wounded veterans and first responders to transition into civilian life through training, certification programs, and by utilizing our network of fitness center owners, boxing representatives, and military connections to assist with placement of warriors in a sports related career field of their choosing. Vitalijs and I are committed 110% to the dream of ensuring that not one local veteran or first responder returning home or from a mission is ever left in the shadows. We hope to bring our vision of healing to not only local individuals and families, but to families across Pennsylvania and perhaps even across the U.S. someday. This is not just a passion for us, but a way of life that has shown us the many benefits and miracles of boxing and its components. We have used our military savings remodeling the building and acquiring low cost equipment, so will use the Kiva Zip loan to finish the job. We are also fighting and appealing service connected VA medical bills that have affected our credit and made it difficult to qualify for more traditional bank loans. Why are you endorsing Brandy? Brandy is a very enthusiastic and friendly people person. She knows how to make a favorable connection with almost everyone she meets with the first 5 minutes of meeting her. Her background as Security Force Sergeant that coincides directly with her qualifications as a registered USA Boxing Coach, and F.A.S.T. (Fear Adrenal Stress Training) Instructor illustrates the qualifications necessary to successfully conduct operations in this realm. Lastly, she is a fan of friendly competition and would like to see her vision succeed. Speaking with her helps you keen in on how much of a great impact her vision will have on the community.